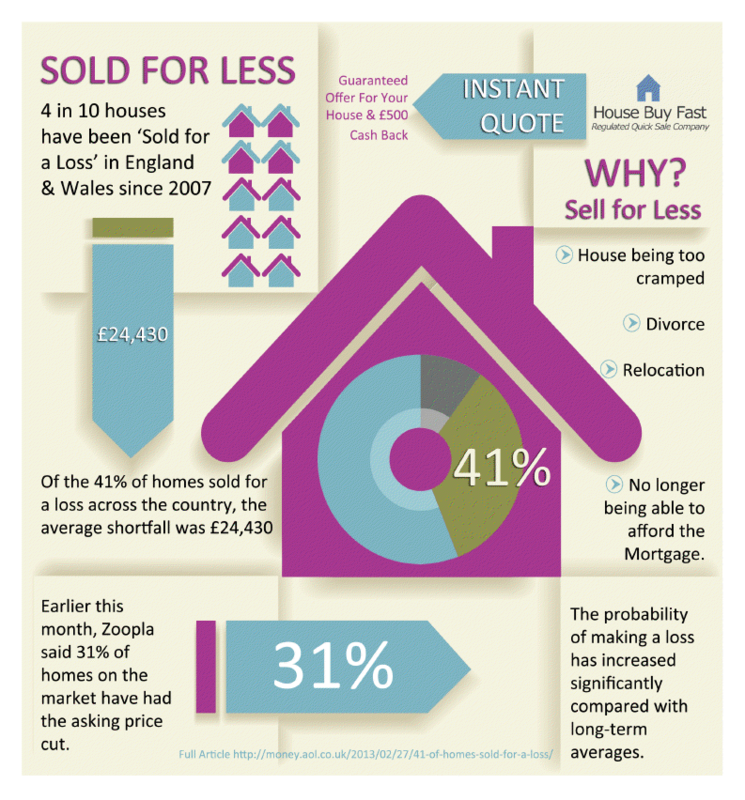 According to research carried out by AOL Money, there have been four in 10 homes sold for a loss in England and Wales since 2007, with an average loss of £24,430. Earlier this month, Zoopla said 31% of the homes on the market have had the asking price cut. The probability of making a loss has increased significantly compared with long-term averages. Last updated on 13/03/2013 by Jonathan Rolande.